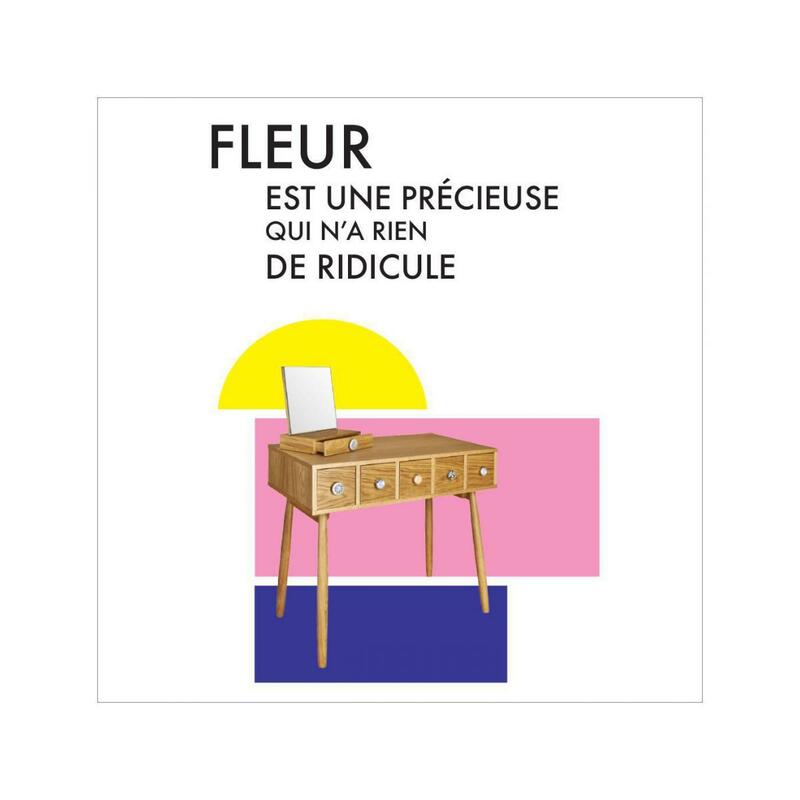 Fleur is a stunning range of bedroom furniture, undeniable British and unashamedly feminine. 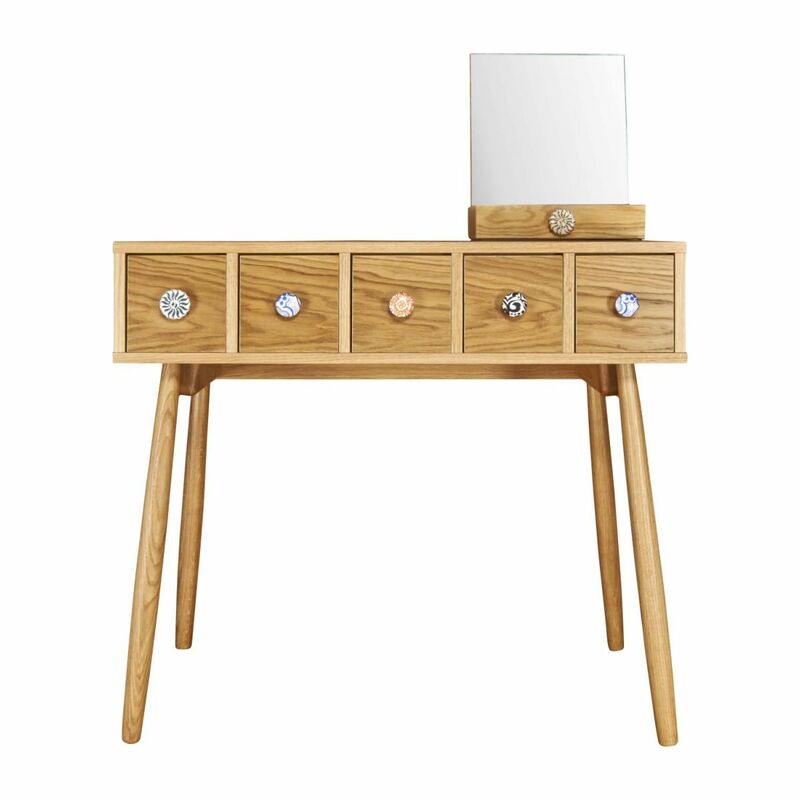 Each drawer features a decorative ceramic knob of various flower shapes. 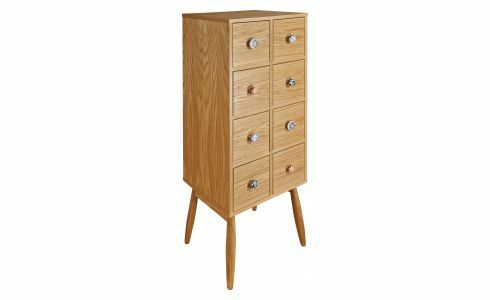 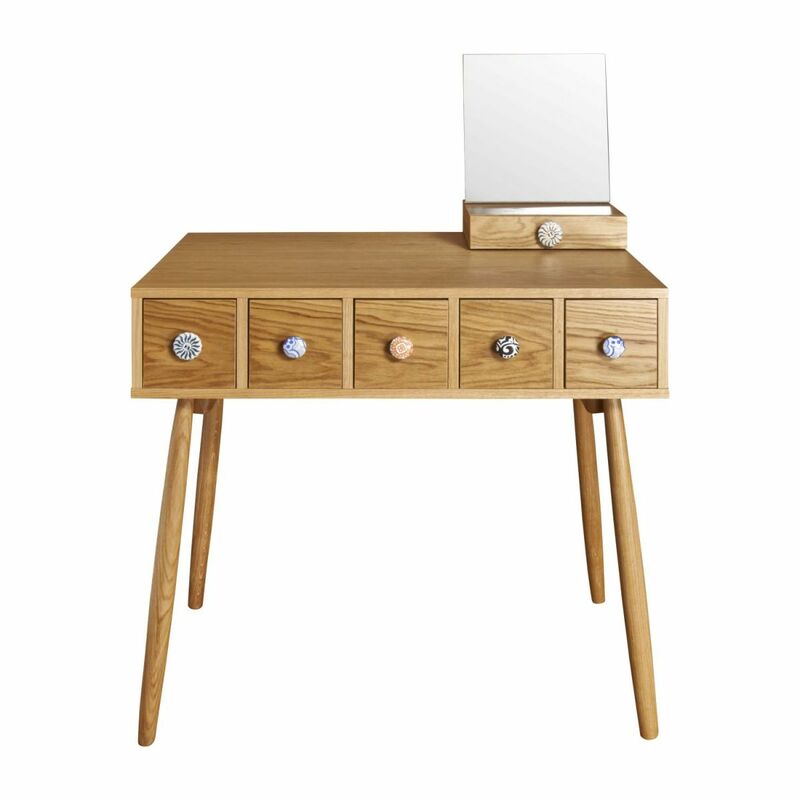 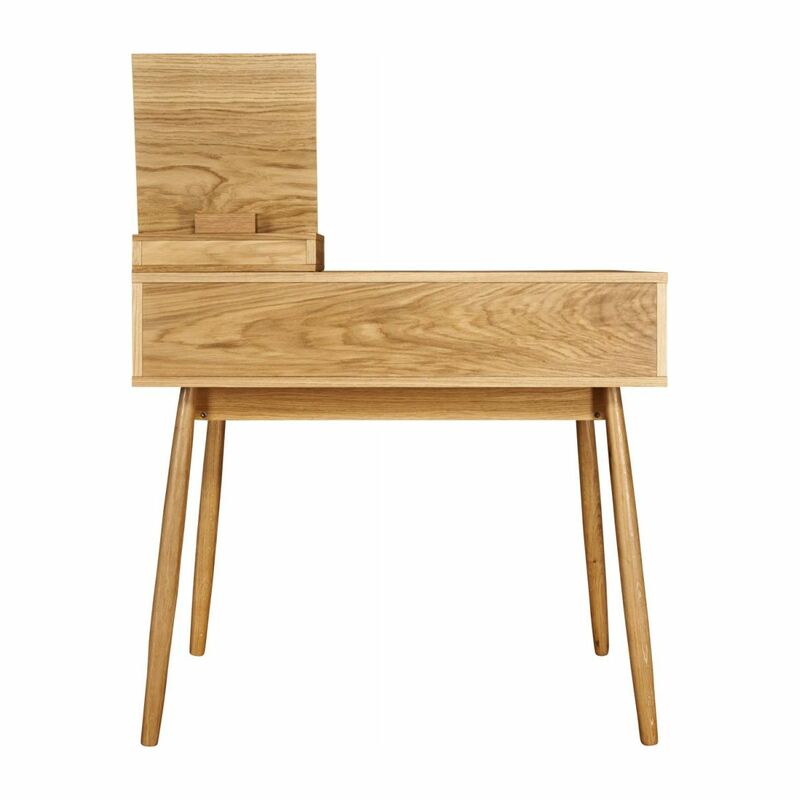 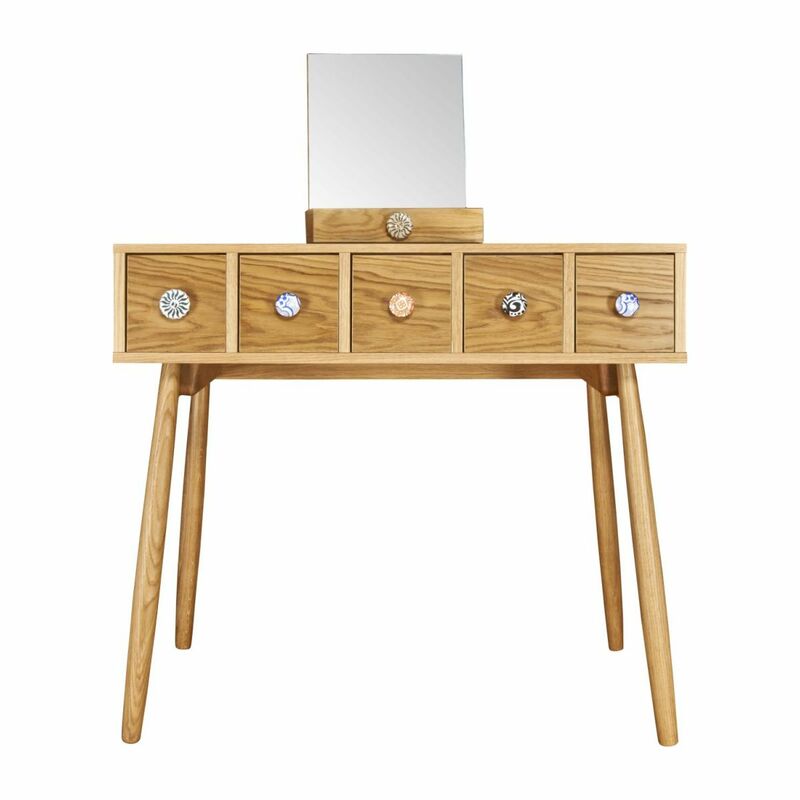 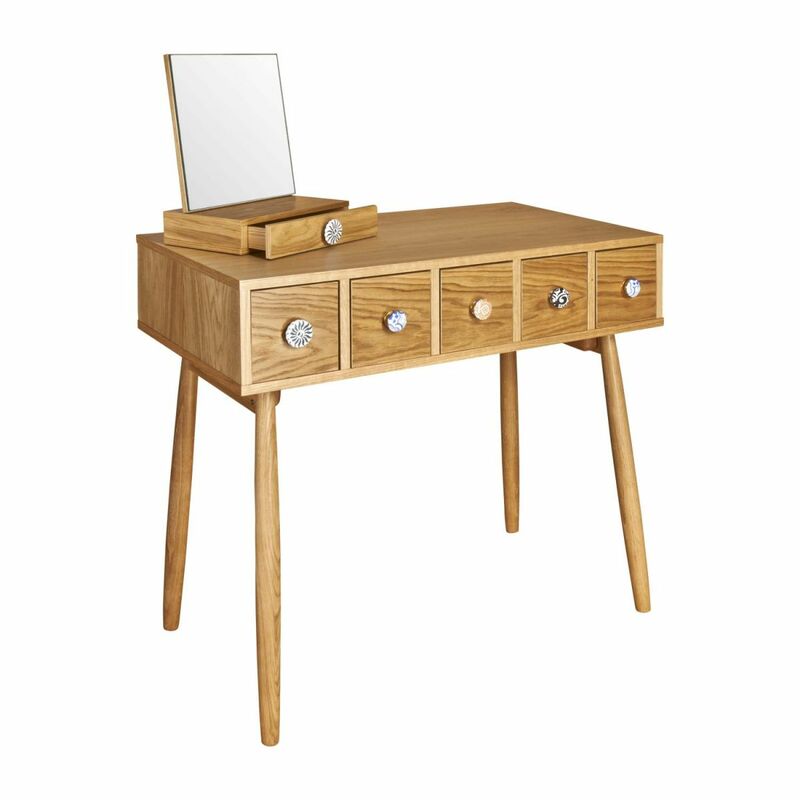 The Fleur oak dressing table has 5 drawers and a small mobile mirror. 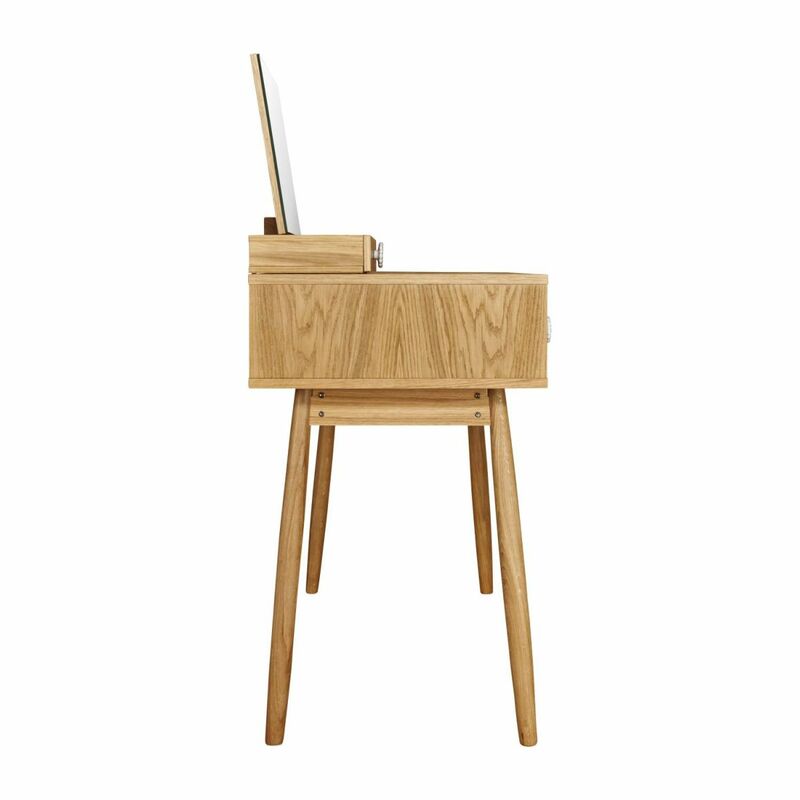 Multifunctional, it can be used in the hallway or the living room. 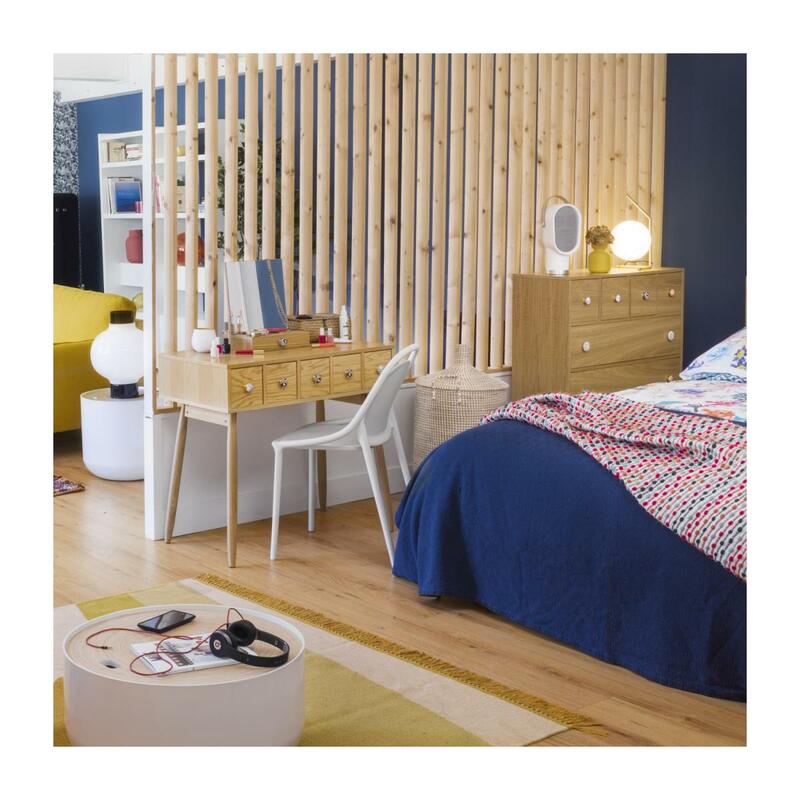 Habitat studio design. 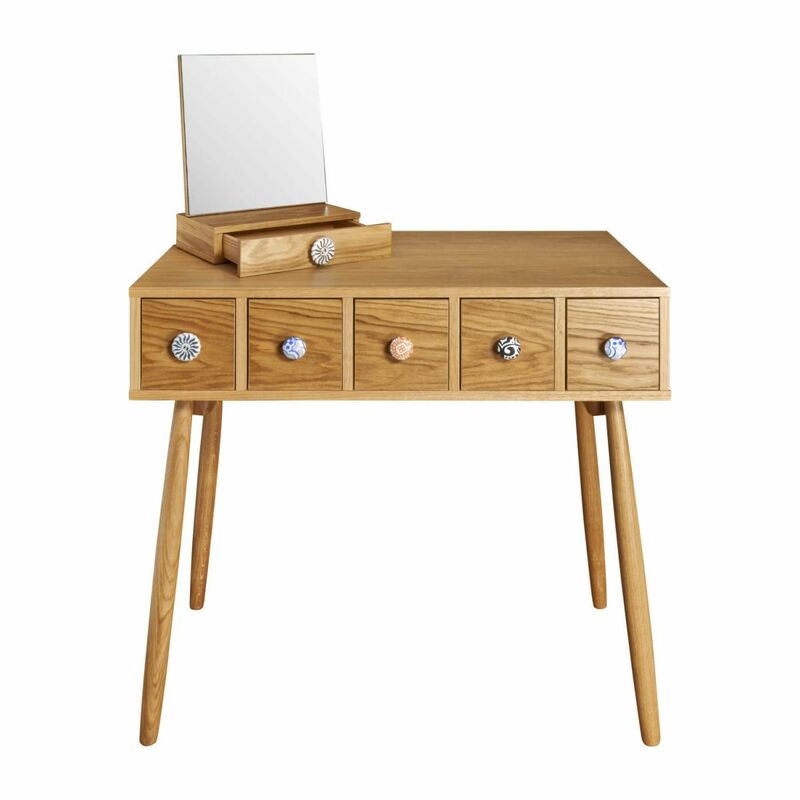 Oak veneer MDF, solid oak feet, ceramic knobs.